St. Georges day and we have a very jolly Quartet of Bishops attending breakfast today. 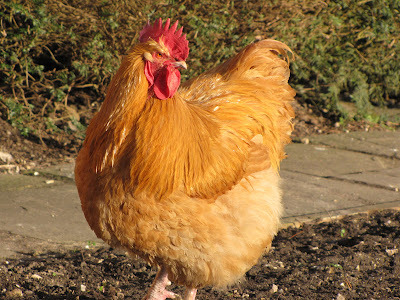 A great sadness as old Mrs Buff Orpington died last night. Having successfully avoided the deadly Mr. Fox over the years she finally succumbed to old age. Quiz Night at the George and Dragon and another disappointing result for our team, it is not just because we are thick but simply we do not watch enough television! Three beautiful visitors have arrived from Africa. The perfect mother's day with no Mothers and no Children! Mrs Buff Orpington looking spectacular today. Welcome to one and all .. It seems only fair to mark the start of the Tudor Lodgings Blog with a warm hello. I look forward to adding more, and no doubt a great variety of more too, in due course. Meanwhile TL is enormously looking forward to the new season. 2013 is with us. We're ready, and very much looking forward to seeing you, either again .. or afresh.